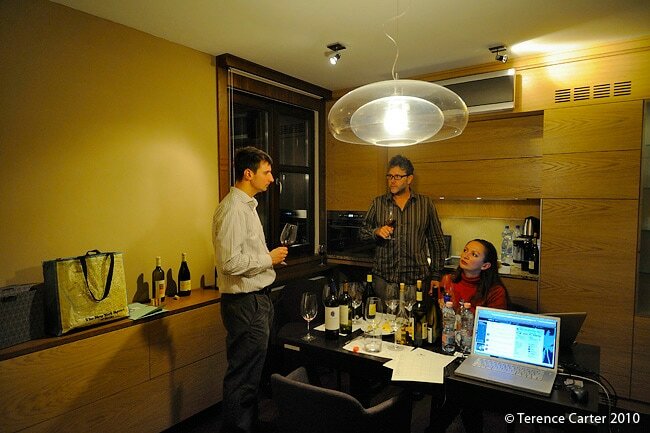 A Budapest Wine Tasting of Hungarian Wine - At Home! We open the door to our Budapest holiday rental and in walks Gábor Bánfalvi of Taste Hungary, pulling a canvas shopping cart on wheels behind him like the one my grandmother used to use. I’m midway through drying a dozen wine glasses I’d washed in preparation, which it turns out aren’t necessary. Gábor has come prepared. In the cart are the eight bottles of Hungarian wines we’ll be trying this evening, plus an extra bottle of each in case any are corked, all of the glasses we’ll need for the night’s tasting, a large map of Hungary identifying the different wine regions, and photocopies of tasting notes which Gábor lays out on our dining table. Tonight Gábor is guiding us through a tasting of Hungarian wines, and, for a change, the wine tasting has come to us – we’re doing it ‘at home’. We’ve experienced an array of wine-focused activities this year in places with strong wine cultures, such as Barcelona, Paris, Venice, Sardinia, Buenos Aires, and Cape Town. 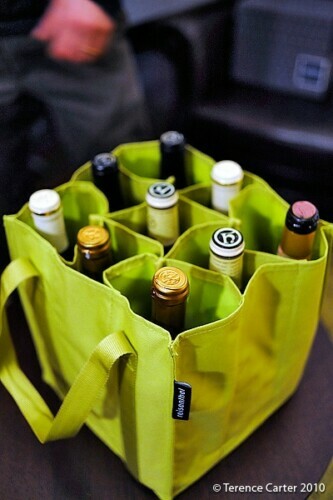 We’ve done wine tastings with sommeliers and winemakers at wineries, wine stores and wine cellars, visited wine fairs and wineries, and enjoyed wine-themed walks, wine-bar hops, and wine tours. But this is a first. We’re so excited by the idea that it’s possible to have a wine-tasting delivered to your door that Terence sets up a camera on a tripod in the corner to document the occasion, and I get ready to live-tweet the event on Twitter. In case you missed it on the night, it went something like this… my ‘tweets’ are in italics. For most people, Hungarian wine is all about the sweet dessert wine from Tokaj and the heavy red wine known as Bull’s Blood or Egri Bikavér from Eger, yet Gábor reveals that there is so much more to Hungarian wine as he points out the country’s 22 wine regions on the map propped up on our sofa. 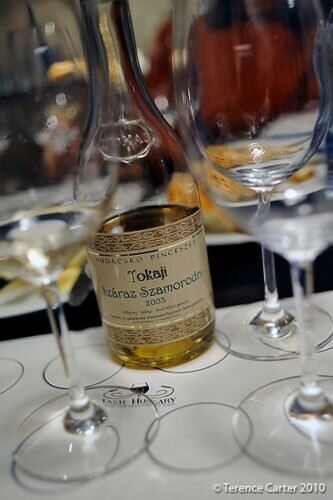 Tokaj, we learn, produces some six grape varieties, including Hárslevelű, Furmint, Sárga Muskotály (yellow Muscat), Kövérszőlő, Zéta (a marriage of Furmint and Bouvier grapes), and Kabar (a cross between Hárslevelű and Bouvier grapes). Furmint, Hárslevelû and Sárga Muskotály are used to create dry (száraz) white wine, while Kövérszőlő, Zéta and Kabar, which have a high sugar concentration and are susceptible to botrytis or noble rot, are used to make the distinctive sweet, golden aszú wines. @travelingsavage @gran_tourismo how are you enjoying Budapest? I swear, you’re hitting all the places I had planned! Gábor describes the Mátra region, at the foot of the Mátra Mountains, as a hidden treasure, producing some of Hungary’s finest whites. 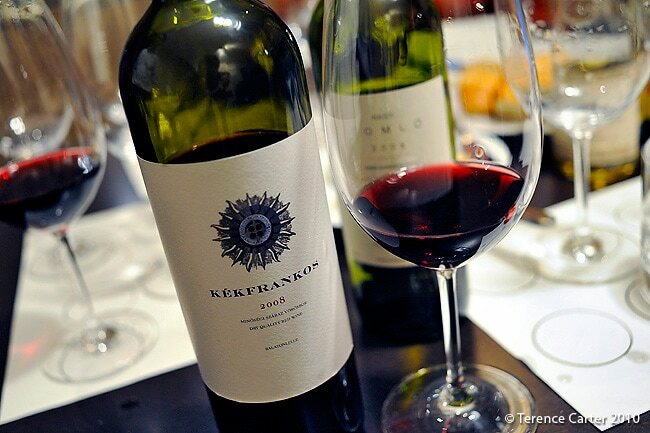 “It’s still relatively undiscovered and its wines are unique, almost exotic,” Gábor says. While wine growing may have begun in the Mátra in the 11th century, according to Gábor, Communism was a major setback for the industry in Hungary. We like the wine a lot, but it’s definitely an unusual wine. It’s like no other we’ve ever tried before and is difficult to describe. “What gives me great pleasure and satisfaction is when people say they’ve never tasted anything like this before,” Gábor reassures us. Phew. 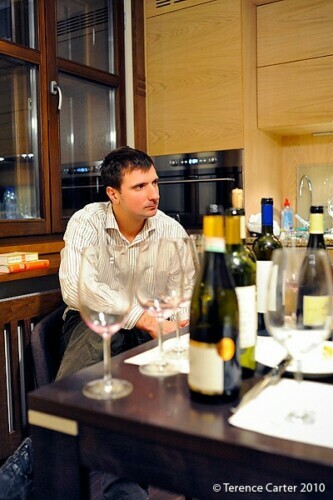 Gábor says that it’s often called the Hungarian pinot noir because of its thin skin. It’s complex, a little spicy, and elegant, and isn’t an easy wine to understand. @gran_tourismo Discussing importance of wine labeling, marketing & perception at our @tastehungary wine tasting in #Budapest Fascinating chat! @WineTravel @gran_tourismo I seem to remember Bulls Blood is called Eger Bikaver in #Hungary. @WineTravel Yes, indeed, that’s ‘bull’s blood’ in the local lingo. But most tourists would never figure it out looking at the shelves. Your recipe is just amazing! Thanks for posting this!